Sri Lanka is located off the southern tip of India with Colombo as its capital city. 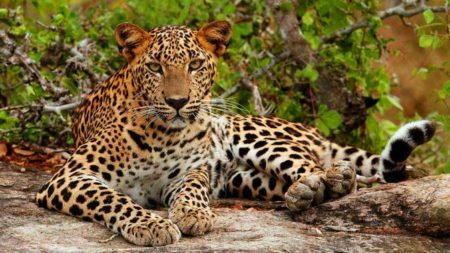 Tours of Sri Lanka include a diverse range of places to see, cultures to experience and things to do from walking along its inviting beaches or moving further inland to view its vast mountainous regions with its abundance of wild animals. This country mixes exotic beaches with luscious green vegetation and could be just want you need to relax and enjoy your holiday. There are many reasons why we believe you should go on one of our Sri Lanka tours. 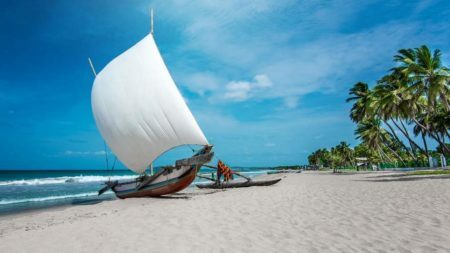 Not only does Sri Lanka have a rich history that dates back at least 125,000 years but its modern day environment has a wide variety of cultures, religions (including Buddhism) and ethnicities making it an exciting and enlightening environment to be a part of. The countryside has not fallen to mass tourism so it is bursting with life. Dutch and British culture dominates parts of the island. 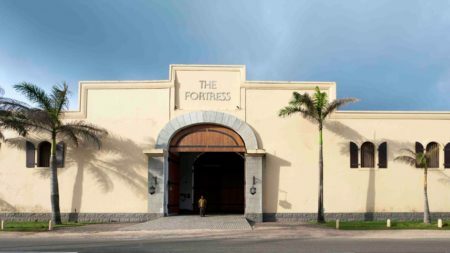 Friendly and attentive locals populate the country ensuring a welcoming environment and the food is not to be missed – whether fine dining or market hopping. Colombo’s sea port is still a busy environment to this day. The Pettah area is home to busy street markets and it is enjoyable watching the locals barter for the delicious food. The city has a combined theme of buildings including modern day and colonial. The Buddhist temple known as Kelaniya Raja Maha Vihara is 7 miles from Colombo and well worth a visit. Colombo is packed with entertainment, making it a great start to any of our Sri Lankan tours. Kandy is the capital of Sri Lanka’s hill regions. It is picturesque and home to temples, green landscapes and a tranquil lake in the middle of the city. Explore Kandy’s culture and visit the Temple of the Tooth: the tooth is the most holy artefact on the island and is said to belong to Buddha, taken from his funeral in 543 BC. After this, why not head over to the Dalada Museum, only accessible via The Temple of the Tooth? It holds some interesting artefacts and gifts from the temple. When it is time to get livelier, visit a performance of Kandyan dance. Packed with entertainment this is one part of a Sri Lankan private tour that is not to be missed. 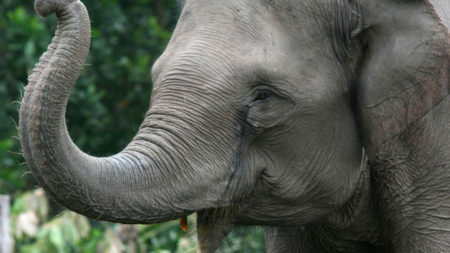 Wildlife and nature are never far away and working elephants can be seen around Kandy. Pinnewela Elephant Orphanage is close by and the Botanical Gardens have a beautiful array of flowers and plants making both places worth a visit. 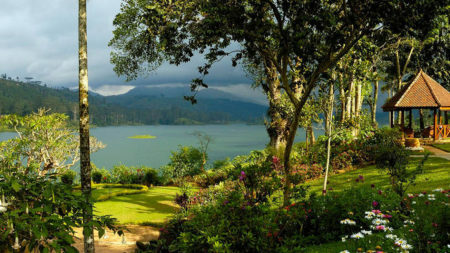 Nuwara Eliya means ‘The City of Light.’ If you are missing home life already then this town is renowned for looking quite like a British village with popular hobbies taking place like fishing, hunting, golf and tea drinking. It is described as a quieter Kandy and it is possible to travel by train from Kandy to Nuwara Eliya, 1,400 metres up along winding tracks. This is a beautiful way to view some of Sri Lanka’s landscapes. Victoria Park is located in the centre of the town and comes alive with flowers and local birds and it is a nice place to sit and just take in the atmosphere around you. If you’re looking for more nature then a trip to Horton Plains National Park is well worth a trip. The two largest mountains, Totapola and Kirigalpotta, complement each other and make the hikes up them well worth the aching legs for the breathtaking views. Galle is on the southwest coast of Sri Lanka. Its unsettled past now holds an interesting place for explorers and antiquity lovers. The city is fairly modern and busy and showcases the once colonial Dutch environment. 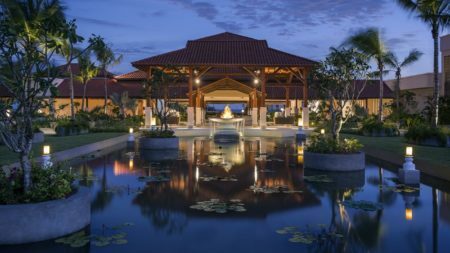 Trips to the city are a common part of Sri Lanka tours, showing the great architecture, temples and churches, however if shopping is more want you want then head to Old Town. A walk around the city walls is a must do especially at sunset to remind you once again about the beautiful views that belong to Sri Lanka. If you tire of being on land, join a tour boat and witness majestic sperm whales and blue whale pods as well as dolphins – this is a truly brilliant opportunity to see the earth’s biggest mammals. Yala National Park is a beautiful park to visit and is less commercialised than its fellow parks. 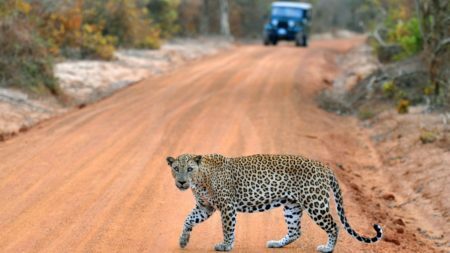 It is home to deer, lions, leopards, elephants, buffalo and wild boar. Keep your eyes peeled for the rare black stork. Negombo is located on the west coast of the island at the mouth of The Negombo Lagoon. Lay back on the soft sand and bathe in the clear blue water and watch the fisherman. By night stroll down to the vibrant bars, restaurants or the fish market known as Lellama to see what the day’s catch brought in. Being close to the airport, Negombo is the perfect place to relax after a long flight before heading to the busier places around the island. Sigiriya is in the central part of Sri Lanka and is home to one of the oldest civilisations. Here in the beautiful scenery lies a massive column of rock. According to ancient scripture, King Kasyapa built his palace on top of the rock. Half way up, a gateway was built in the form of a gigantic lion. The views from the top of this rock are well worth the steps to the top.